In a large bowl mix bulgur and boiling water. Cover with a dishtowel and let it sit for about half an hour. In another bowl, combine all remaining ingredients. 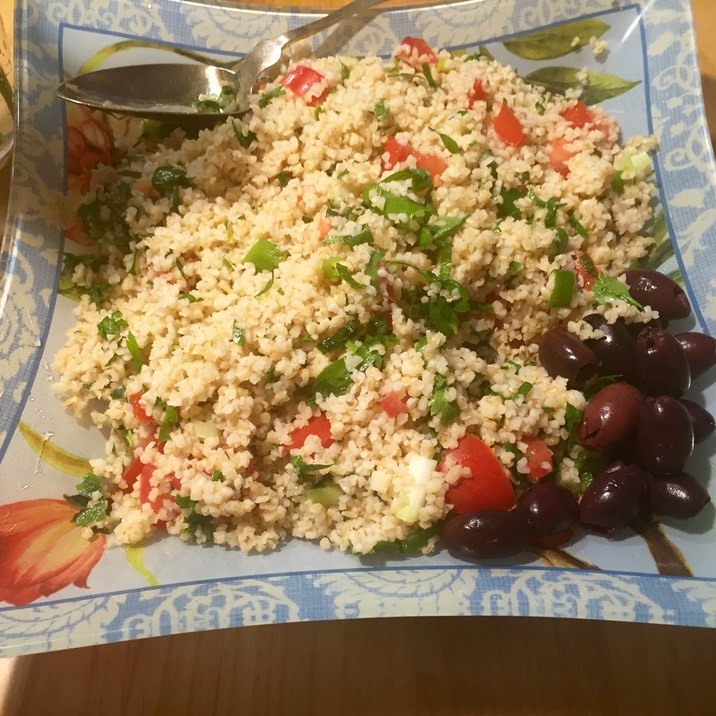 Uncover bulgur and when it has cooled combine it with the herb mixture. Start tasting and feel free to add more lemon or salt, or whatever you like.